Why is 3009 glass used? Glass-lined steel is a material of construction for chemical and pharmaceutical processing where service conditions of the process are particularly difficult and corrosion resistance, inertness and cleanability are key concerns. The 3009 glass formulation withstands lower and higher temperatures, pressures, and product concentrations and offers superior corrosion resistance over a broad range of chemical applications. What are the properties of 3009 glass? 3009 glass offers excellent resistance to corrosion, abrasion, mechanical and thermal shocks, making it suitable for highly corrosive processes. The formulation of this multipurpose glass is adapted to cGMP requirements and its anti-adhesive properties are ideal for cleaning, cleanliness, and sterilization. Furthermore, the glass surface is impervious to catalytic effects and contamination. 3009 glass starts out as enamel comprised of carefully selected and rigidly controlled raw materials. 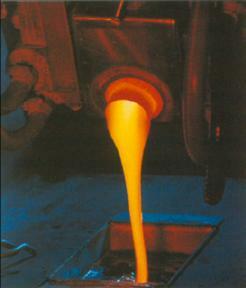 The enamel is melted in a rotary furnace and then poured into water. This sudden tempering breaks the enamel into particles called frit. 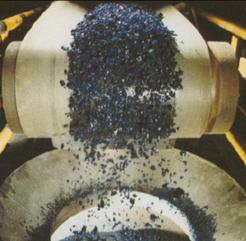 The frit is then dried, ground and screened into a powder. Next, the powder is mixed with emulsifying agents and the glass suspension is sprayed on the prepared steel. 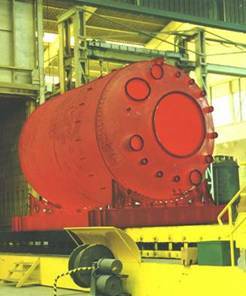 The item is moved into an electric furnace to “fuse” the glass to the steel. The item is then transferred to a controlled cooling booth that helps to reduce built-in stresses in the glass. This cycle is repeated until the desired glass thickness is obtained. 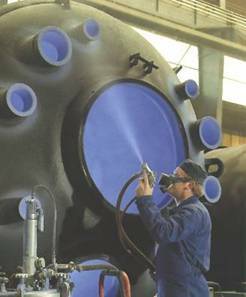 Quality control spark and thickness tests between coats are performed to ensure the highest quality of the finished lining. The result is an impermeable, smooth coating of glass that is ideal for pharmaceutical and chemical applications. Where is 3009 glass manufactured? The raw glass material is produced at our worldwide headquarters in Zinswiller, France, ensuring universal quality. The vessel and the glass lining are manufactured at our state-of-the-art manufacturing plant located in Corpus Christi, Texas.